Simple St. Patrick's Day Bunting ~ Use book pages cut out 5 or more rectangles approximately 3.5" x 6" in size. Cut a triangle shape out of the bottom of your rectangles. 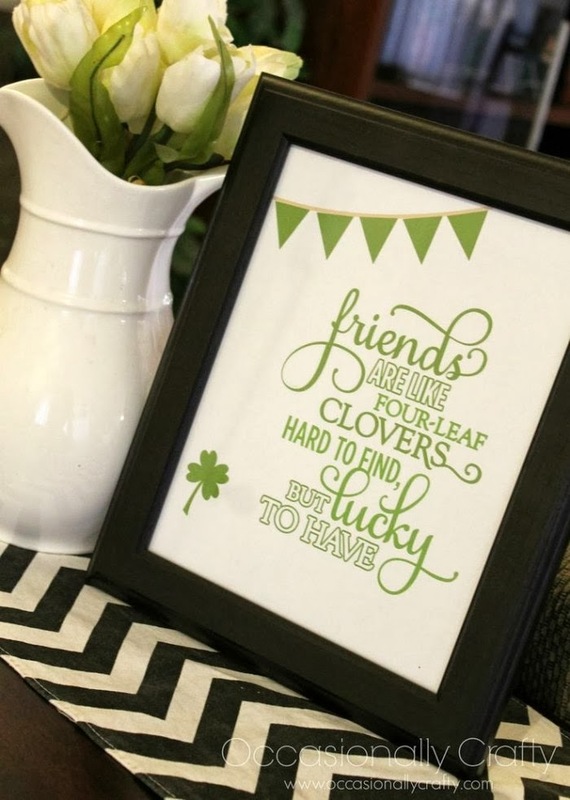 Cut out the number of shamrocks you'll need from green cardstock. 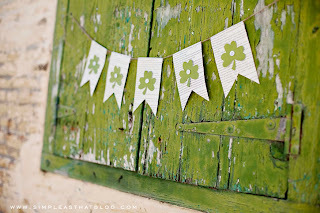 Attach shamrock's to your banner pieces being sure to allow enough room to fold over the top edges. 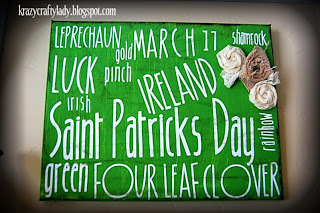 Place a button in the center of each shamrock. 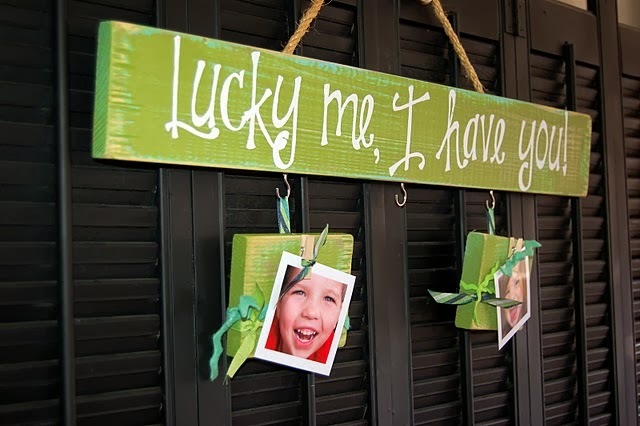 Simply cut a length of string and attach banner pieces to string by folding top edge of banner pieces over the string & staple. 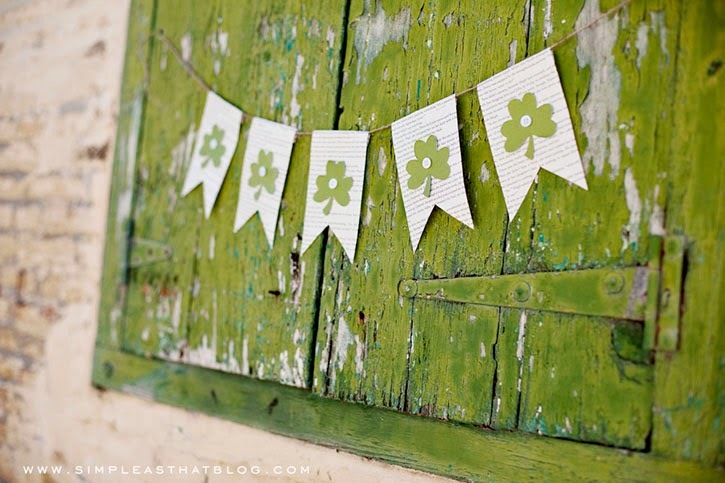 Space banner pieces evenly along the string by sliding them back and forth as needed. 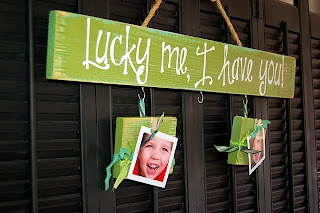 Simple St. Patrick's Day Lucky Me Board ~ Spray paint a board, get creative with the accessories, find your some favorite photos of your kiddos and you too will have a one of a kind photo display! 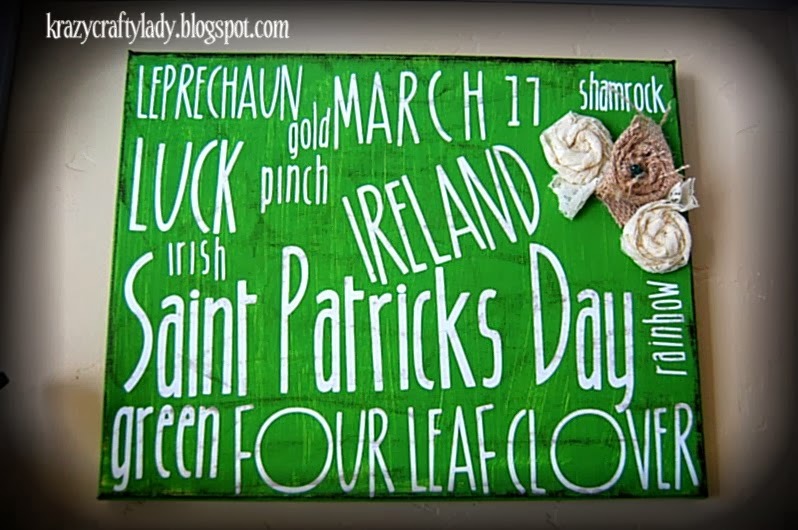 Simple St. Patrick's Day Subway Art ~ With a board, paint, fabric rosettes and St.Patty's lingo words, you too can create this fun piece of art to display for all to see and for years to come! 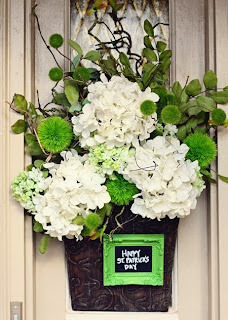 Simple St. Patrick's Day Door Arrangement ~ Change your current door decor with green and white and add a little chalkboard sentiment. 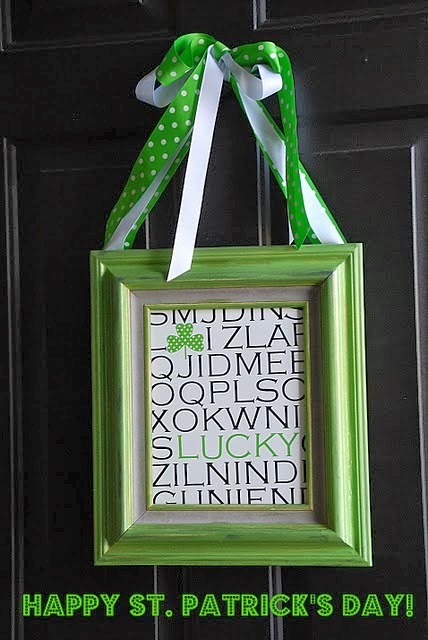 Simple St. Patrick’s Day Sentient ~ Print out an alphabet font doing just the “lucky” letters in green along with a little shamrock. 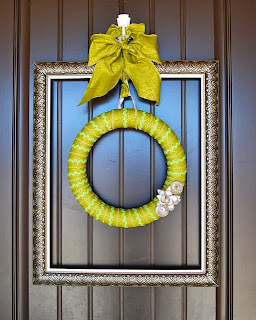 Place in a frame and finish with green ribbon. 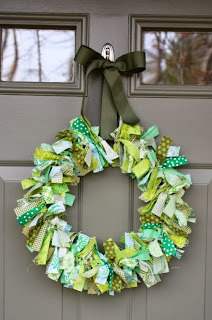 Simple St. Patrick's Day Rag Wreath ~ Use a variety of scrap fabric in various shades of green. 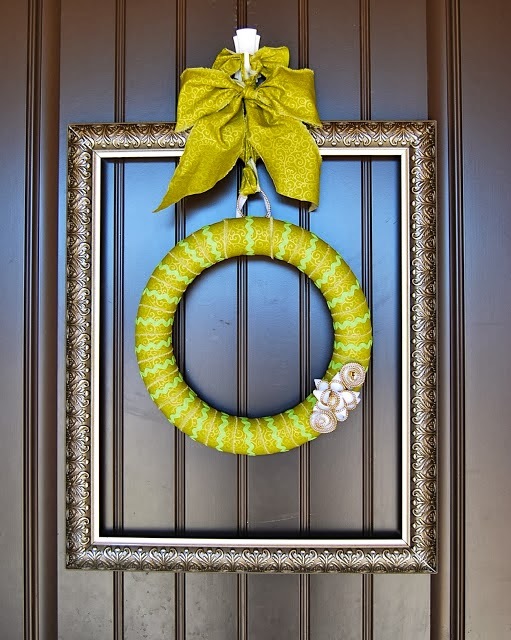 Tie around a wire hanger, formed into a circle or you could also use a wreath form. 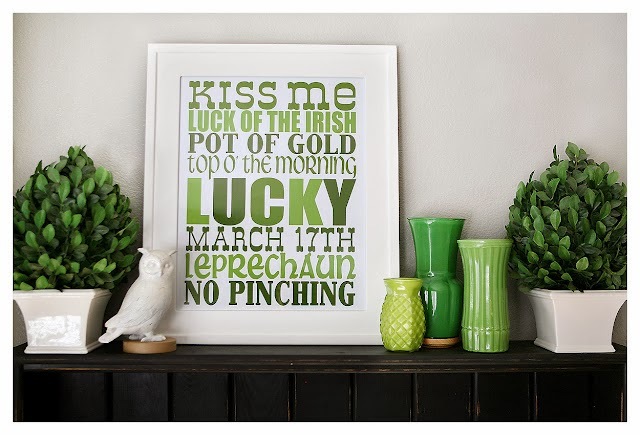 Simple St. Patrick's Day Sentiment ~ Printable print, frame it up and display! 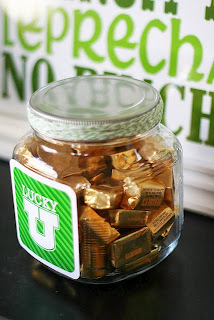 Simple St. Patrick's Day Pot of Gold ~ Print your logo and attach to a clear container filled with gold wrapped candy! Simple St. Patrick's Day Lucky Banner ~ Use the printable, cut out each banner, punch a hole in the top corners, thread string through, and hang! 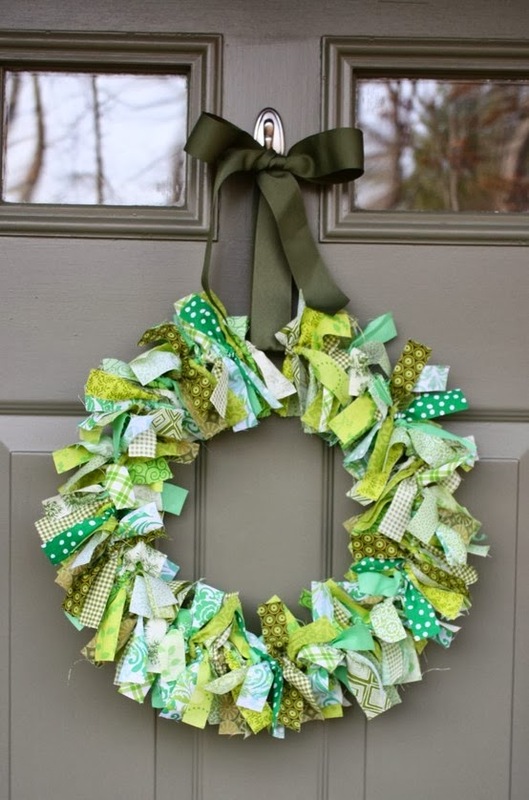 Simple St. Patrick's Day Wreath ~ Using a foam wreath, ribbon, rick-rack, fabric and DIY roses, you can create a stunning March wreath for your front door!